Carmella Gibellino-Schultz is a licensed cosmetologist and instructor and has been practicing the art of permanent cosmetics since 1999. In both Delaware and PA she has performed thousands of procedures and her impressive portfolio speaks for itself. Former owner of The Skin Care School and Center, her expertise and years of experience have made her the area’s most sought after permanent cosmetics artist and has drawn clientele from distant cities. Dozens of referring doctors, salon owners and estheticians validate Carmella’s reputation as an expert in permanent cosmetics. Furthermore she is CPCP, FAAM, DOUBLE Board Certified with both The Society of Permanent Cosmetic Professionals and American Academy of Micropigmentation. Carmella is also a Lifetime Member of the SPCP. Carmella prides herself on keeping up with the new trends in permanent cosmetics and the Beauty Industry as a whole so she can keep her loyal client base educated on what’s new. Carmella just returned from The American Micropigmentation Academy Conference at The Gaylord in Florida and cannot wait to share what she learned. “Permanent Cosmetics has come such a long way since 1999, and even though I have over 18 years of experience I will be forever a student to the industry!” With “Microblading” services popping up everywhere, she wants her clients to rest assured she has the experience and certifications to permanently alter one’s face from the most important brow to freedom from eyeliner and lips that come to life and would love the opportunity to show you how permanent cosmetics can change your life. Ashley graduated from Virginia Tech and pursued a career in Corporate America in Washington, DC. Like many, she was told to go to college and get a secure job although she was born with the entrepreneurial spirit and was always drawn to the beauty industry. Compelled to follow her passion, she started her custom blend makeup business part time in 2011. When Ashley decided to make the move from DC to Wilmington, DE to be with her now husband, she took a leap of faith and became a Licensed Esthetician and went full time with her custom blend business, Customized Cosmetics by Ashley. Her mission is to simplify your makeup routine while perfecting your look by actually blending products for you, in front of you including: foundations, blushes, bronzers, eyeshadows, brow powders and lip stains. Once her client’s formulas are created, she keeps them on file so they can order refills and never have to go to a store again. Ashley explains her business as a mix between a personal stylist, professional organizer and a concierge . . . for your makeup. To book a consultation with Ashley, call or text 301-466-5625 or email her at customizedcosmeticsbyashley@gmail.com. You can also check out her facebook page at www.facebook.com/customizedcosmeticsbyashley. Dr. Anna Giacalone is passionate about dentistry. She enjoys continuing her dental studies, spending much time in the pursuit of excellence, so that she can offer her patients the highest quality of care. In 2013 the Academy of General Dentistry awarded Dr. Giacalone its highest honor, the Mastership award. Only 6% of Academy dentists achieve Mastership. To earn this award, Dr. Giacalone completed over 1,100 hours of disciplined and comprehensive dental study covering all aspects of General Dentistry. Dr. Giacalone graduated from the University of Pennsylvania School of Dental Medicine, receiving the Pennsylvania Dental Association award for Excellence. After serving four years in the National Health Service Corps she chose private practice in Delaware County, PA. She has practiced Family and Cosmetic Dentistry in the Olde Ridge Village in Chadds Ford, PA for over 26 years. Dr. Giacalone holds a certificate in orthodontics from the Comprehensive Orthodontic Institute and a certificate from The Dawson Academy of Advanced Study. She has received numerous awards and commendations including Top Cosmetic Dentist Main Line, Top General Dentist Main Line, America’s Top Dentists to name a few. Dr. G. has been interested in painting since grammar school and has taken formal classes on and off since. When choosing a career, Dr. G. knew she wanted to help people in a medical profession. Dentistry offered the perfect application of both art and science while helping patients achieve the highest quality of life. Dr. Giacalone lives in Wilmington, Delaware with her husband, Kenneth, and their faithful puggle, Bo. Melissa P. Broyles, D.O. has been a first-rate doctor for over 19 years. In 1993, she graduated from the Catholic University of America on the Dean’s List with a B.S. in Biology. She received her D.O. from the Philadelphia College of Osteopathic Medicine where she graduated in 1997. After obtaining her D.O. she did a general rotating internship at Mercy Suburban Hospital where she was elected chief intern. She then did a three-year Family Medicine residency at Abington Memorial Hospital where she was named the Women’s Board Scholar and received the Resident Teacher Award. In January 2014, Dr. Broyles completed a two-year Integrative Medicine fellowship directed by legendary Dr. Andrew Weil at the University of Arizona. 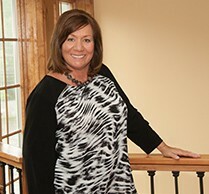 In her spare time, Dr. Broyles enjoys being part of the Glen Mills community where she has practiced and lived in for 15 years with her husband and two children. She particularly enjoys running, camping, and hiking. 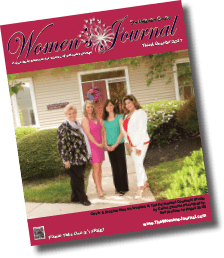 Our Delaware County Profiles were shot on location at the offices of The Permanent Cosmetic Studio and Lash Lounge, located at The Commons Professional Office Park Court at 140 Commons Ct., Chadds Ford, PA 19317. 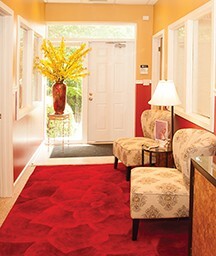 To find out more about all the wonderful services offered at her studio visit www.permanentu.com or call 610-883-0636. We would like to thank Carmella Gibellino-Schultz for hosting our profile shoot for our DE County Paper. Carmella is the owner of The Permanent Cosmetic Studio, located at The Commons Court, 140 Commons Ct, Chadds Ford, PA 19317. To find out more about all the wonderful services offered at her studio visit www.permanentu.com or call 610-883-0636. I am sure you will love this studio as much as I do. I would also like to thank Christine D’Alonzo, Owner of Amelia Paris Salon & Spa at Britton Lake, and her wonderful team of stylists and makeup artists for providing some of our hair and makeup for our DE County participants. Amelia Paris is located at 100 Evergreen Dr., Glen Mills, PA. To book an appointment or to just find out more about Amelia Paris call 610-558-4911, or visit them at www.amelia-paris.com. We were honored to have four top women professionals to participate in our third quarter shoot for DE County. I hope that you will let them know that you read their profiles in the Women’s Journal. Complete profiles on each of the participants are on Pages 36-38.